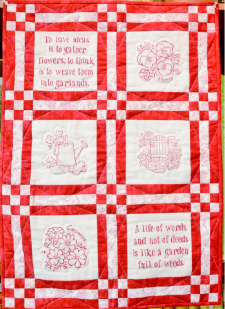 If you love the classic redwork look this project is for you! 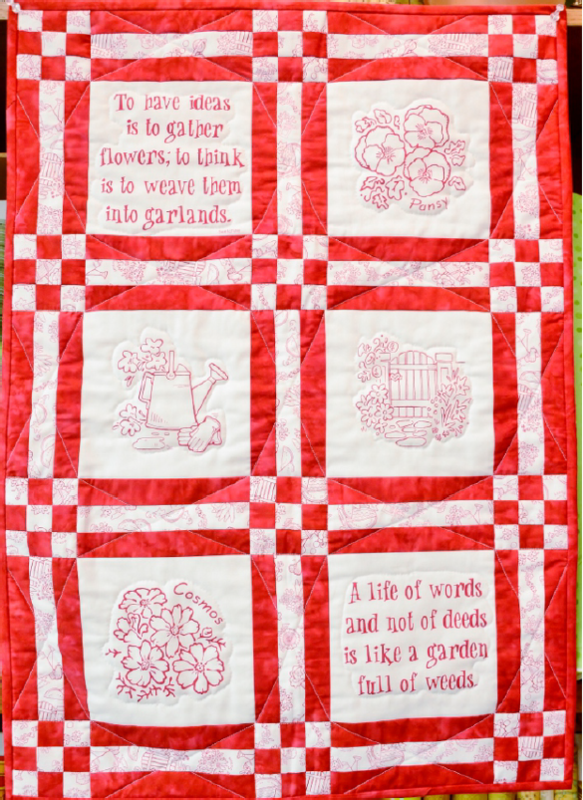 Jeanne Coverdale of Block Party Studios created this quilt to utilize a no-work redwork panel for each of the blocks. This quilt could very easily be scaled to any size needed, of course, so make one of your own your way! Enjoy!